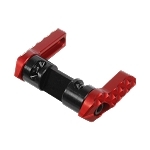 Spending $140 or more for trigger parts on every AR-15 rifle you may own may not be realistic. If you can't quite pop for our complete trigger kit, or have too many rifles and can't justify expensive triggers in all of them, then this may be for you. 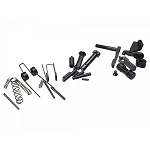 You can achieve a significant improvement over stock parts by using a set of our custom trigger/hammer springs and the Rydol sear compound. With proper sear and hammer notch preparation, a livable 4.5 to 5.0 smooth trigger in a rifle with standard trigger components is possible. It will not have the extremely short engagement/over travel feel like the JP trigger, but you will have a smooth "roll-off" feel that will give usable trigger control. 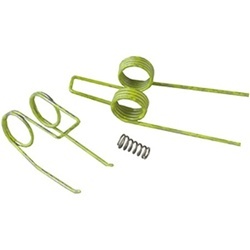 The spring kit includes trigger, hammer and disconnector spring and complete instructions on how to prep your parts for best results. Or, send in your lower assembly and we'll do it for you, complete with springs, professional work over of your parts, and return shipping included for $65.00.